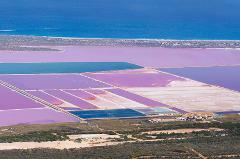 Discover the amazing and truly unique Pink Lake located at Hutt Lagoon near Port Gregory. An interesting spectacle that stands out like no other with the best vantage point to see this being the air. 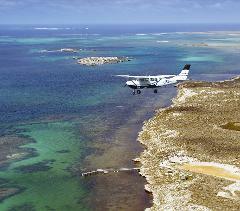 5 hour tour including morning tea & scenic flight to the amazing Abrolhos Islands. Explore East Wallabi Island, snorkel and swim in the picturesque waterways as well as enjoying a nature walk to view bird and wildlife. 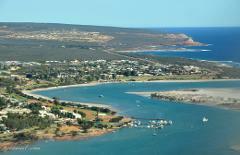 An exciting 20 minute flight showcasing the Kalbarri town centre and spectacular Coastal Cliffs from a perspective which demonstrates their true magnificance and grandeur. 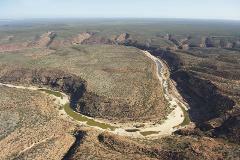 One of the most exciting and best value aerial adventures showcasing the Kalbarri National Park as well as the splendour of the Murchison River Gorges. See spectacular sights many of the amazing wonders inaccessible and un-viewable by air. Scenic flight of Kalbarri and the spectacular region, showcasing the amazing Abrolhos Islands with the shallow and amazing colors in the waters, Kalbarri National Park with the Murchison River Gorges and unique Pink Lake at Hutt Lagoon. 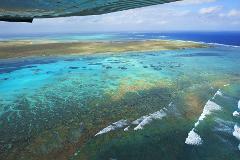 Once in a lifetime tour including flight over the Abrolhos Islands viewing the coral atolls and crystal clear waters. Land at East Wallabi Island to join a 3 hour boat trip including delicious crayfish lunch. Discover the amazing Murchison River Gorges in the Kalbarri National Park and truly unique Pink Lake located at Hutt Lagoon near Port Gregory. The best vantage point to see all this and more being the air. One of the most exciting and best value aerial adventures showcasing the Kalbarri National Park, Murchison River Gorges and amazing Hutt Lagoon Pink Lake. See spectacular sights many of the wonders inaccessible and un-viewable by air. 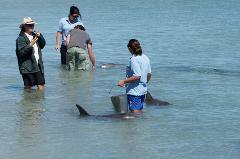 5 hour tour including morning tea & scenic flight to the Pink Lake at Hutt Lagoon and amazing Abrolhos Islands. Explore East Wallabi Island, snorkel and swim in the waterways as well as enjoying a nature walk to view bird and wildlife. 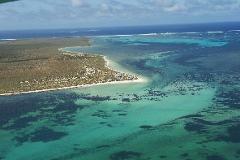 2 hour tour including afternoon tea & scenic flight to the amazing Abrolhos Islands. Short stop on East Wallabi Island then continuing to see coral formations, crystal clear waters and the site of the Batavia Shipwreck. 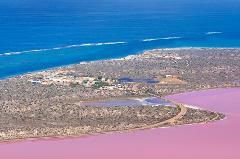 2 hour tour including afternoon tea & scenic flight to the unique Pink Lake at Hutt Lagoon & amazing Abrolhos Islands. Short stop on East Wallabi Island, then see coral formations, crystal clear waters and the site of the Batavia Shipwreck. 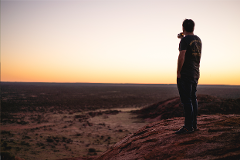 Explore the wilderness of Western Australia in this adventure tour that not only stimulates the senses in its extreme beauty, but also the mind in its history and conservation efforts.